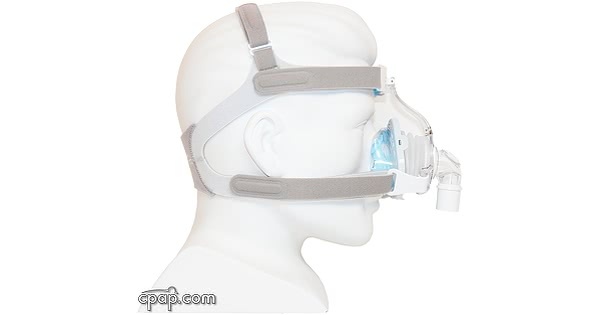 Newer Model Available: TrueBlue Gel Nasal CPAP Mask with Headgear. 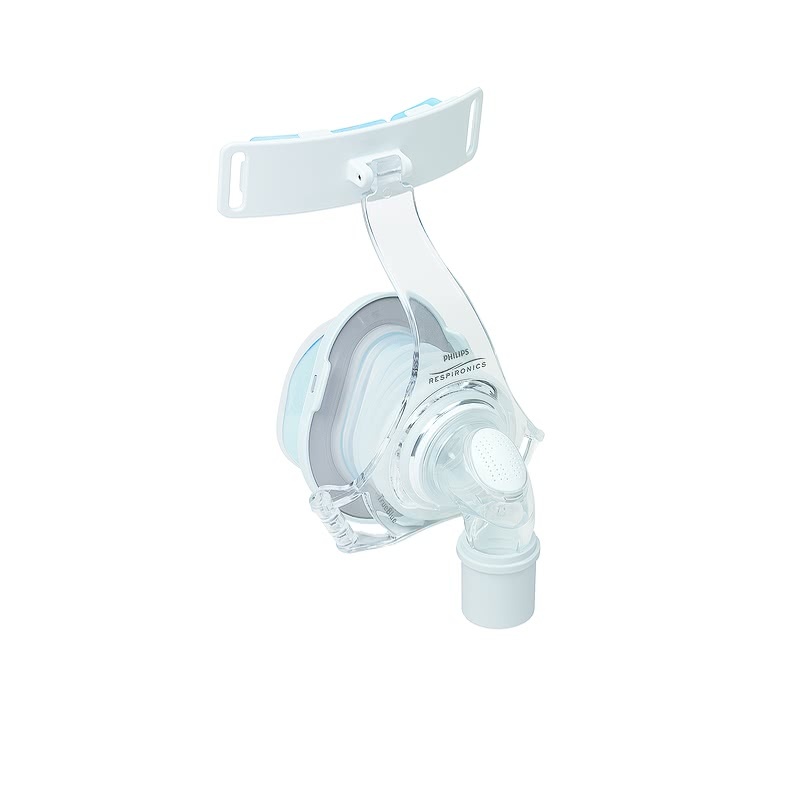 The TrueBlue Nasal CPAP Mask employs a spring design with an inflatable outer cushion silicone flap to achieve a loose fit. 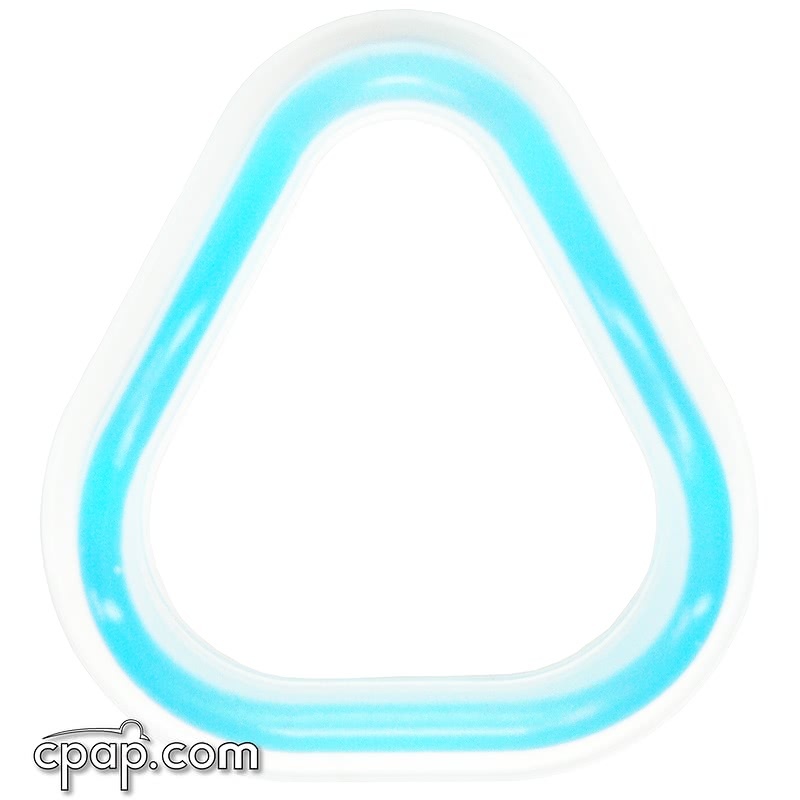 This unique design offers a more dependable seal and is less likely to irritate the bridge of your nose. With an emphasis on comfort and flexibility, TrueBlue also includes a soft and adjustable gel forehead pad. This TrueBlue FitPack includes the mask, headgear, and two cushions. 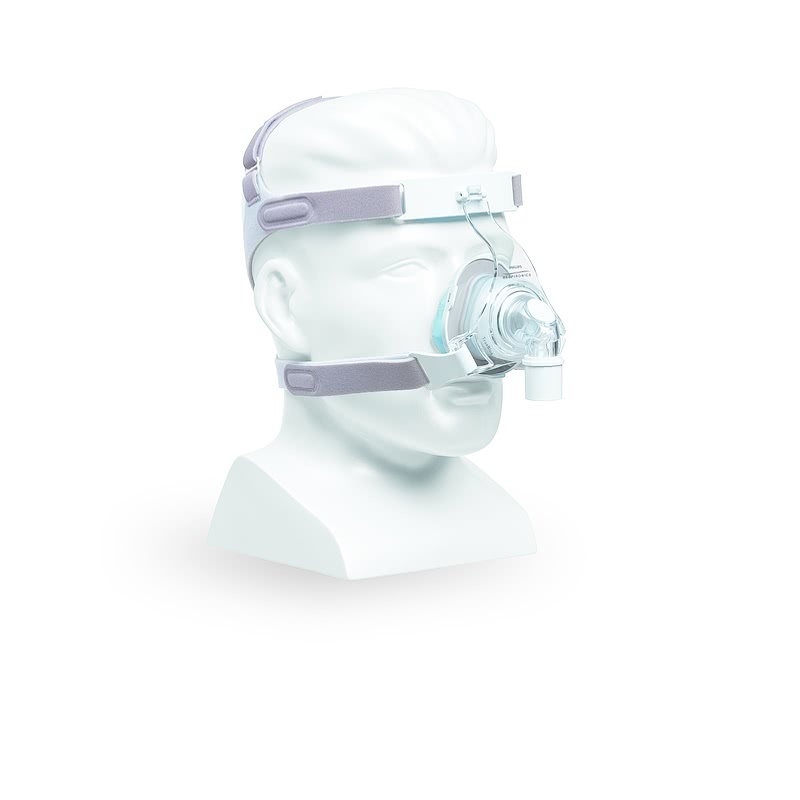 If you only need one specific size of cushion, the TrueBlue Nasal CPAP Mask with Headgear is also available. To provide a more custom fit, the TrueBlue includes a flexible spring connecting the mask frame to the cushion. This spring both reduces pressure on the bridge of the nose and compensates for movement while sleeping. 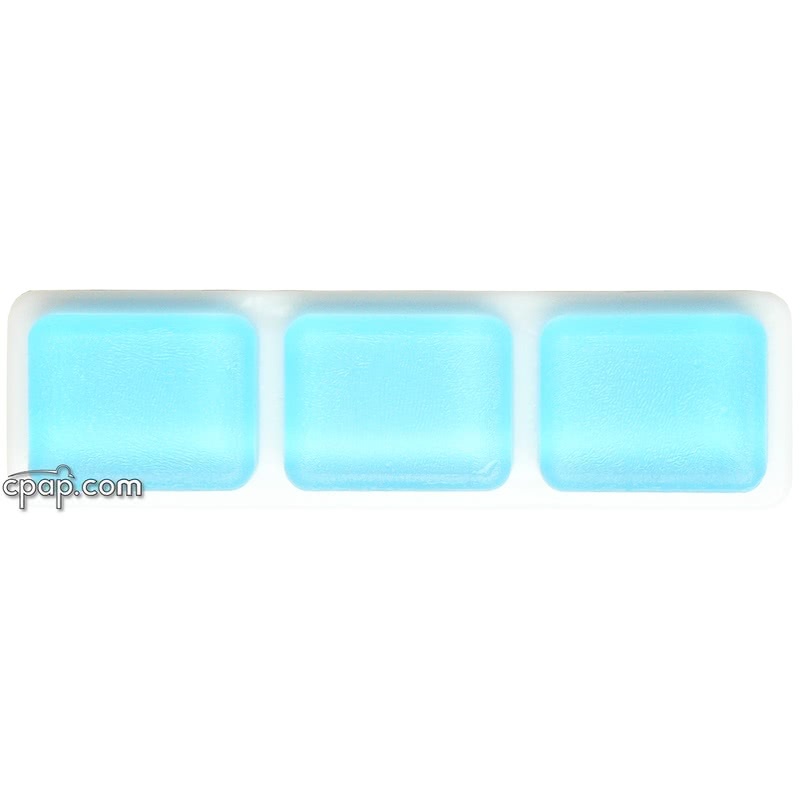 By molding to the shape of your nose, the gel cushion provides a comfortable, self-adjusting seal. Designed to fit loosely on the face, it is not necessary to over tighten the headgear straps to create a seal. 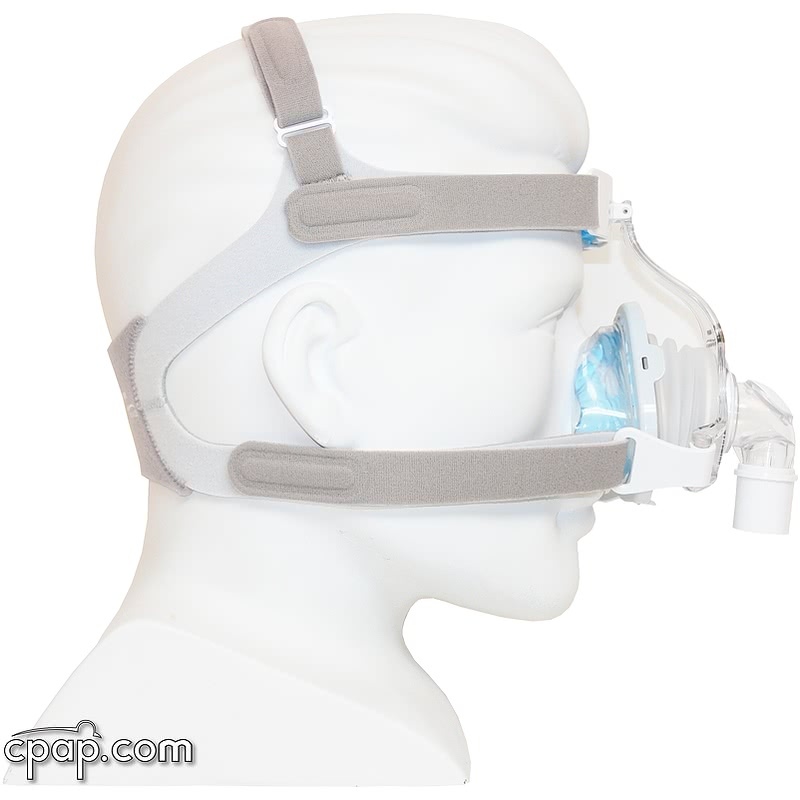 Simply adjust the straps and position the mask so it rests comfortably on your face. The TrueBlue fits loosely to allow the outer cushion silicone flap to inflate and create a seal around your nose. 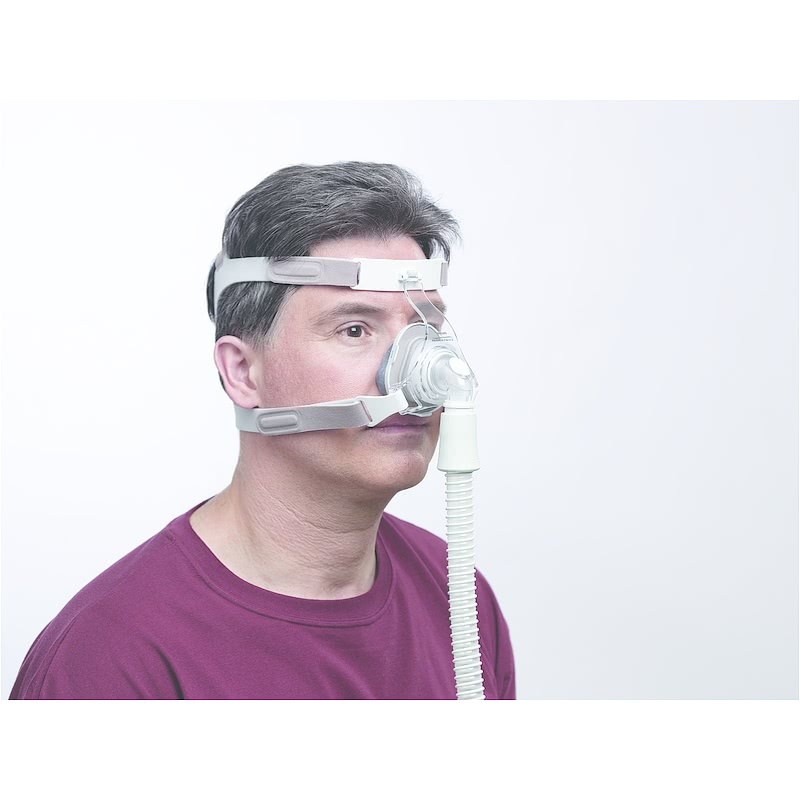 The best way to achieve a seal is to put the mask on, connect it to your CPAP hose, and turn on your CPAP machine. While your machine is blowing, pull the mask away from your nose to allow the outer cushion flap to inflate. Bring the mask slowly back to its original position. For more information, please see Philips Respironics' mask guide for more information. There are three quick contact points that the spring and gel cushion can easily be clicked into place with. With three soft gel cushions, the forehead pad increases comfort by distributing pressure across a larger area. The flexible pad is made to conform to your forehead by swiveling up and down. The sturdy headgear clips easily unhook, removing the need to unfasten headgear straps to remove the mask. They are made from a softer plastic and can withstand more tension. Each clip snaps into place with one click and can be twisted to detach. With a crown strap and four adjustable straps that converge into a single back panel, the headgear is designed to provide constant stability. Philips Respironics offers the headgear for the TrueBlue in two sizes: Standard and Reduced Size. All size TrueBlue masks come packaged with size Standard headgear. 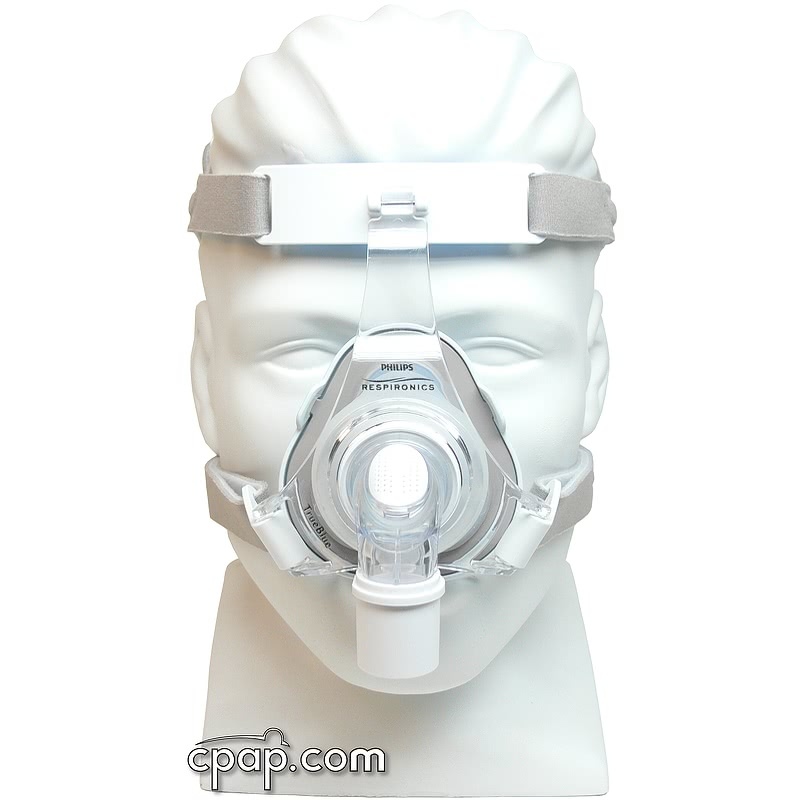 The Reduced Size Headgear may be purchased separately: Headgear for TrueBlue Gel Nasal CPAP Mask. Please take note of the Resistance Control rating located on your mask's cushion if you are using the TrueBlue with the System One line of CPAP machines. By programming this rating into a System One machine, the pressure will output will adjust relative to the mask in use, thereby delivering more consistence and reliability in terms of pressure. TrueBlue comes packaged with a size Standard headgear, no matter the size of the mask. 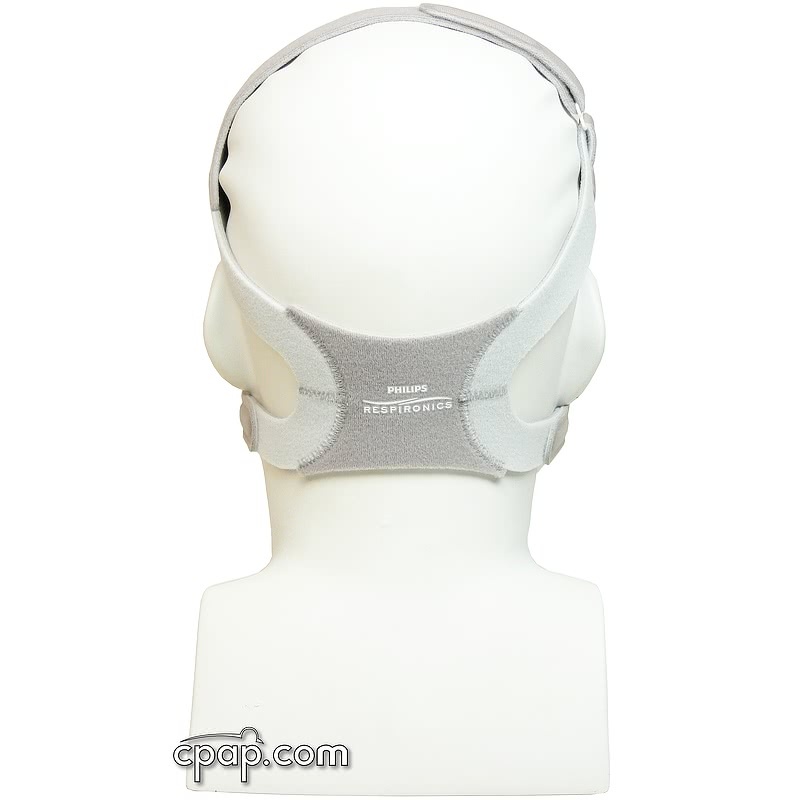 The headgear is available as a size Standard and Reduced Size, which can be purchased separately. 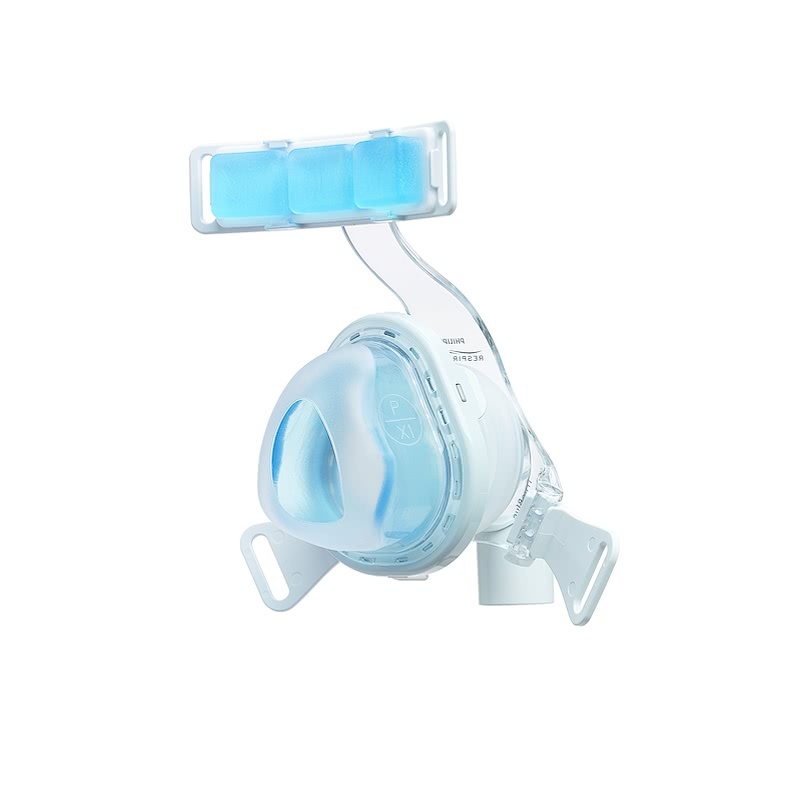 View the following link to read more and order: Headgear for TrueBlue Gel Nasal CPAP Mask.